The Report Evaluates the Proficiency and Adaptability of Today’s TEM Solution Providers. Charlotte, NC: Independent financial research and advisory firm PayStream Advisors today announced the release of its Travel and Expense Management Navigator™ report. 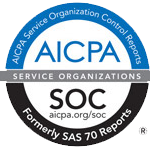 Similar to other ranking reports, this report provides a comparative analysis of software solutions, weighing strengths, differentiators, and weaknesses. However, the TEM Navigator report represents an industry first, being the only one of its kind to focus exclusively on expense report automation and TEM software. The report also includes two comparative analysis grids that evaluate each provider's proficiency and adaptability against the needs of two types of organizations. One grid is designed for the specific needs of enterprise organizations; the other targets mid-sized organizations. These grids, called Navigator Planes, provide a data-driven visualization of a solution provider’s value to organizations of different sizes. The TEM Navigator report is based on PayStream Advisors’ own proprietary ranking model, which evaluates each solution in eleven functional categories—providing a much more comprehensive analysis than is included in other reports. “For potential buyers who are identifying which solutions to consider, there is simply no other tool available that compares the strengths and weaknesses of Travel and Expense Management software to this level of detail and accuracy. We developed the TEM Navigator report to fill this market void, and are certain it will prove invaluable in connecting organizations with the most appropriate solution providers,” says Jimmy LeFever, Research Director of PayStream Advisors and TEM Navigator report author. The report also provides a prediction of TEM market growth as well as projected adoption rates among organizations of various sizes. PayStream analysts estimate that the current market for TEM solutions is over $1.1 billion, and that by 2020, it will almost double to $2.1 billion. PayStream largely attributes this potential growth to the mid-sized market, with a 14% CAGR in adoption rates. The TEM Navigator report also includes a historical overview of TEM solutions, including the rise and fall of the IBM GERS solution, the introduction of Concur, and the advent of cloud expense management software. PayStream's report compares eleven TEM solutions offered by Apptricity, Certify, Chrome River, Concur, Coupa, DATABASICS, ExpenseWatch, Expensify, Infor, InterplX, and SutiSoft. To review the rankings and read PayStream's independent analysis, download the full Travel and Expense Management Navigator™ report here. PayStream Advisors is a research and advisory firm that delivers first-rate industry research on office process and expense report automation for finance and procurement professionals. PayStream provides research-based, unbiased educational content to challenge readers’ thinking, inform them about marketplace trends, and empower them to transform their organizations. The firm’s targeted research publications, consulting services, process-enhancement workshops, webinars, and conferences are designed to address the unique needs of finance professionals in a continually-evolving technology landscape. PayStream’s research is available on demand for members, and membership is completely free. For more information, visit http://www.paystreamadvisors.com.